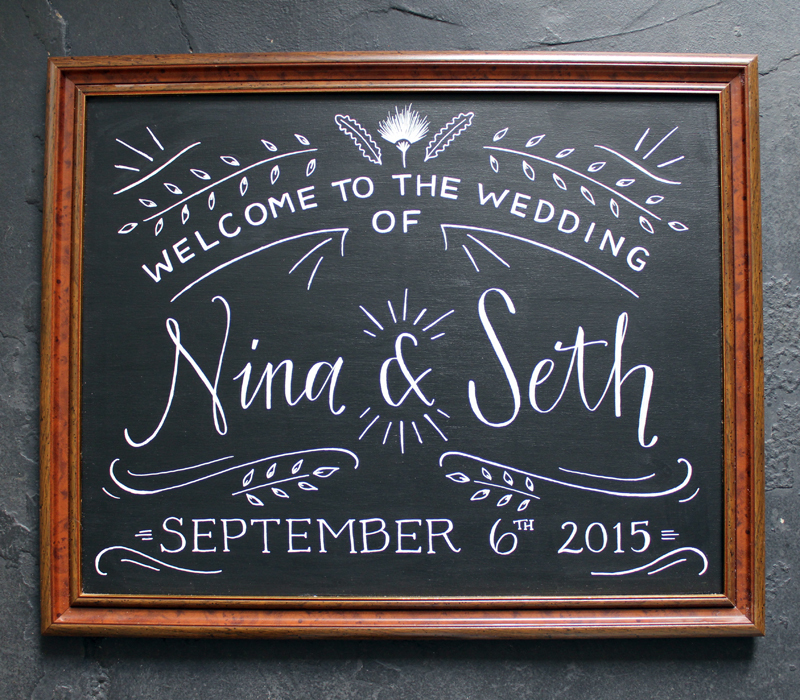 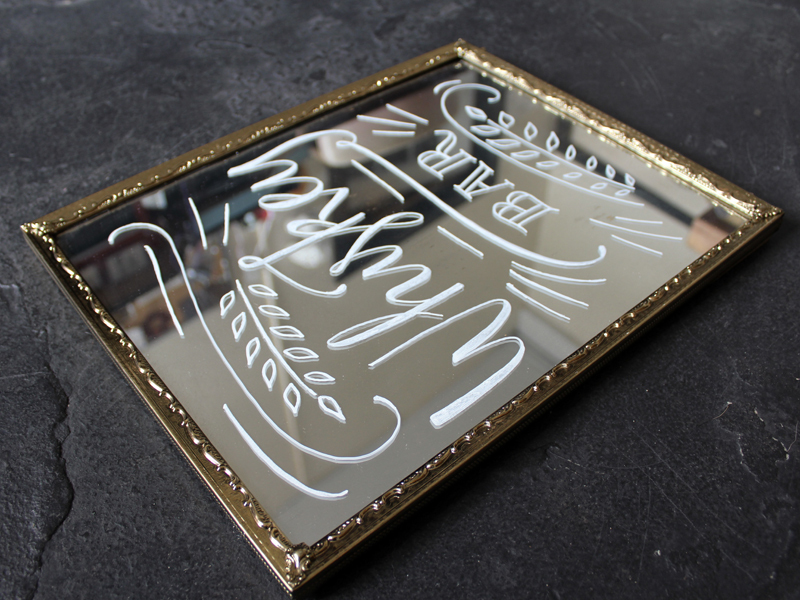 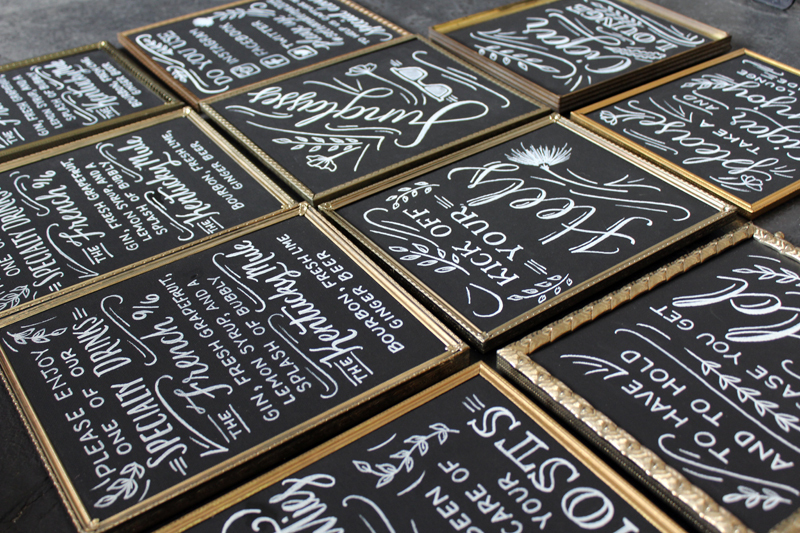 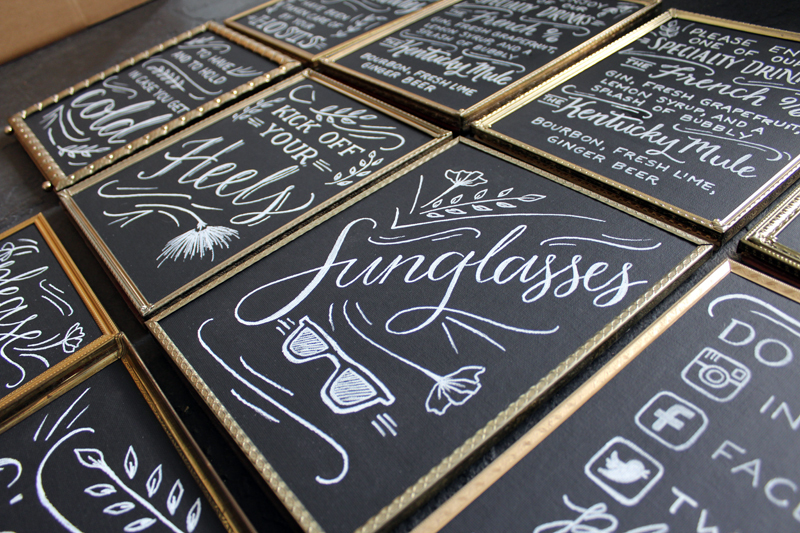 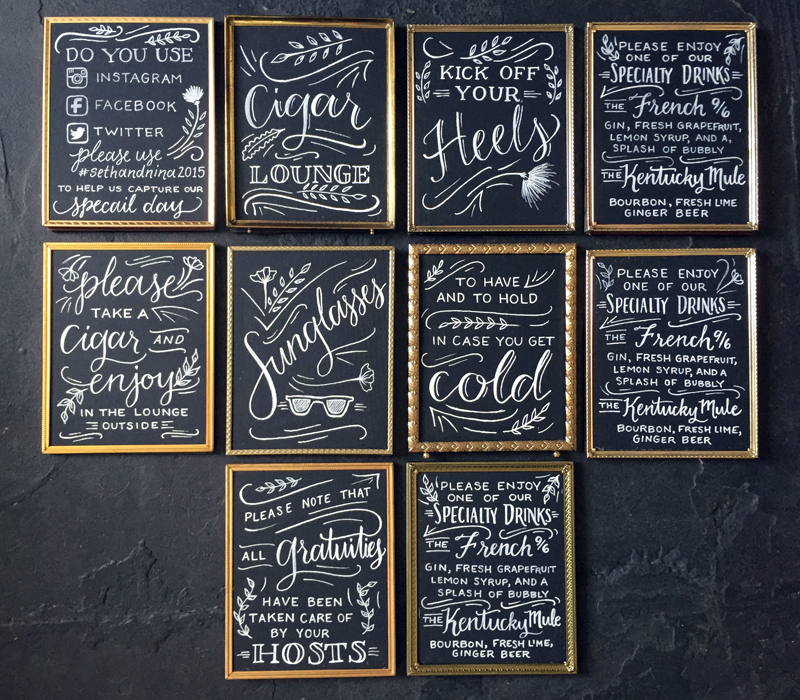 The majority of the signage for Nina and Seth’s wedding were chalkboards in vintage metal frames. 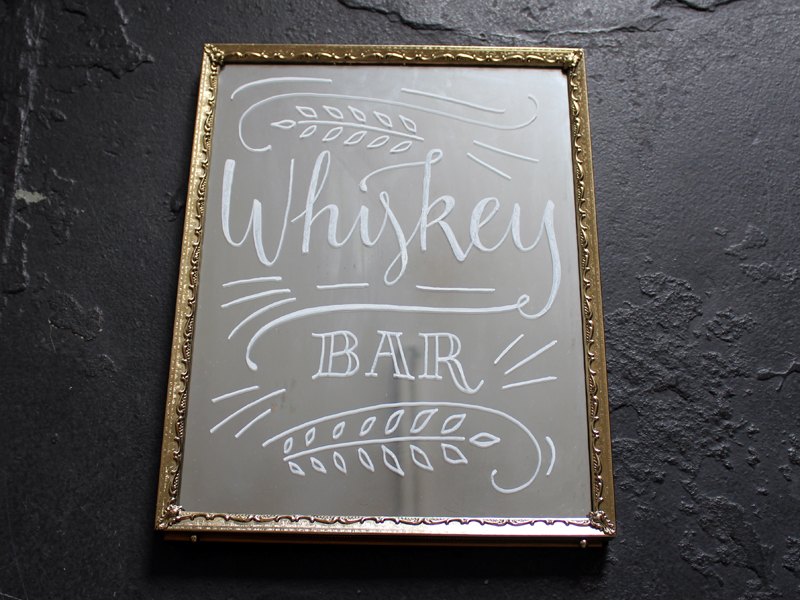 The Whiskey bar sign was unique in the batch because it was painted on a mirror instead. 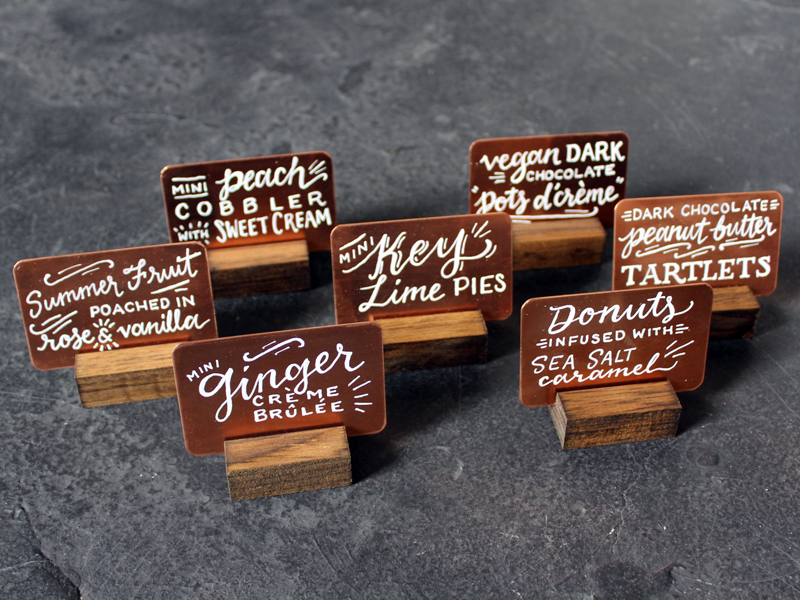 For the dessert table, I lettered the various sweets on copper plates.